Indeed, this is a topic near and dear to my heart. :) I have quite a love affair with daily and seasonal devotionals. I know that I've written about it quite a few times in the history of this blog, especially during Lent and Advent! 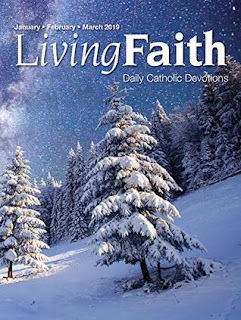 But here we are in winter Ordinary Time, all fresh into the new year, and this is also a time that I think about dedicating myself to a daily routine with my faith. Especially lately, my kids have been on my mind quite a bit. Both are growing so quickly and going through many changes. A daily prayer ritual is exactly what I need right now to best pray and discern for them, and it always helps to hash things out with friends. Below are two of my favorites. Are you familiar with these? Your thoughts are most welcome! Living Faith is just the cutest little booklet ever. I first discovered it when I was in North Carolina visiting my sister, and her parish had the current issue available to try out. They are published in 3 month segments, and always have seasonal photography on the front, which I LOVE. Each day lists the daily mass readings (but does not include them in the text, you'd need to look them in your own Bible, fyi), and includes a short reflection on the theme from the readings for that day. You could read these reflections in well under a minute, if you weren't also looking up the scripture readings. I used to have a print subscription, and I have to say that I miss it. I bought the digital copy of the January/February/March issue, and it just isn't the same. Perhaps I should resubscribe? It's a great purse tucker. 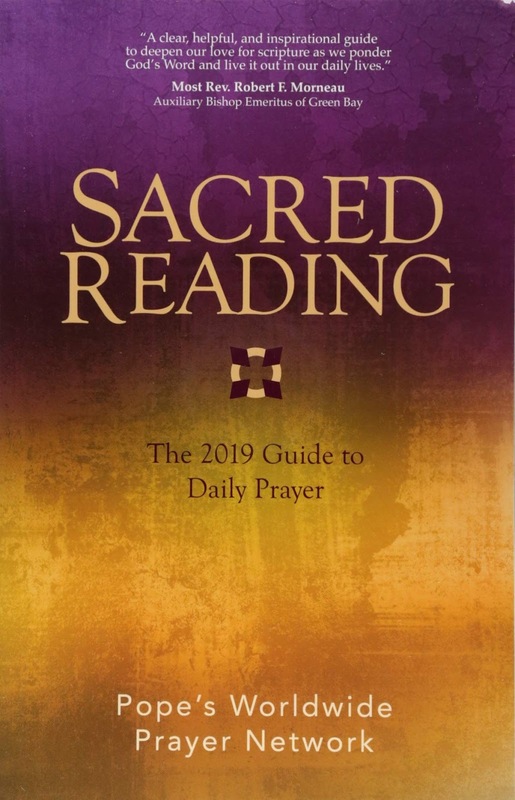 Sacred Reading is a much larger book than Living Faith, but it is also available as an ebook. I do have this one in print form, but it doesn't carry around as easily as the other. You need to keep it at your desk. ;-) But I enjoy the format a lot more. It includes the text of the daily Gospel, and several other prompts to lead you in prayer and contemplation on the theme of the text. I like it a lot. It *does* require more concentration to read the entry, which is either a great thing or a difficult thing, depending on your state in life. Once I start teaching, I'm not at my desk nearly as much. Thoughts? 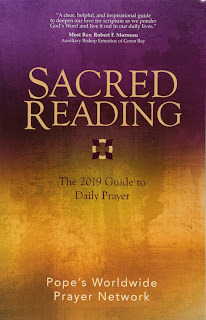 Sacred Reading seems idea for Lent, and indeed, they do have a separate volume just for that season. In fact, that volume is small enough to likely fit in my purse. I'm really thinking I'll use Living Faith every day if I just resubscribe in print. I really do want a daily commitment to something. What would you choose, or do you have another suggestion? 😃 I'd love to hear about it in the comments! I've used Sacred Reading before and liked it. I haven't tried Living Faith. I find that I do better with printed devotionals. I'm too tempted to look up other things when I use online devotionals. Right? And I just...forget about them, ha ha! They tend to languish on my phone or Kindle.